I have lived in Dumfries and Galloway since 1986 and would live nowhere else. The outstanding natural beauty of the landscape, the temperate climate and the friendliness of the local population is a constant inspiration. 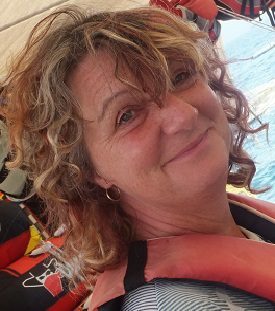 I raised 2 boys in the area who enjoyed an idyllic childhood camping on the beach and learning how to sail and windsurf. 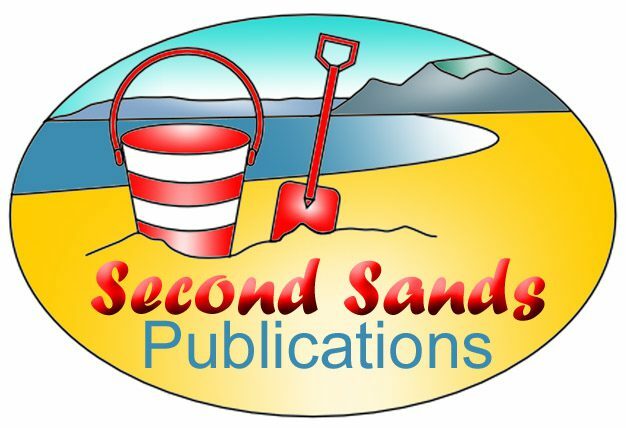 My move to Port William last year coincided with my desire to write and illustrate a children’s book. As a self-employed professional artist I have made a living and supported my family with my paint brush for the past 25 years. I have had some success as an illustrator and wished to develop this creativity further by reviving the skills once used as a writer some years ago. 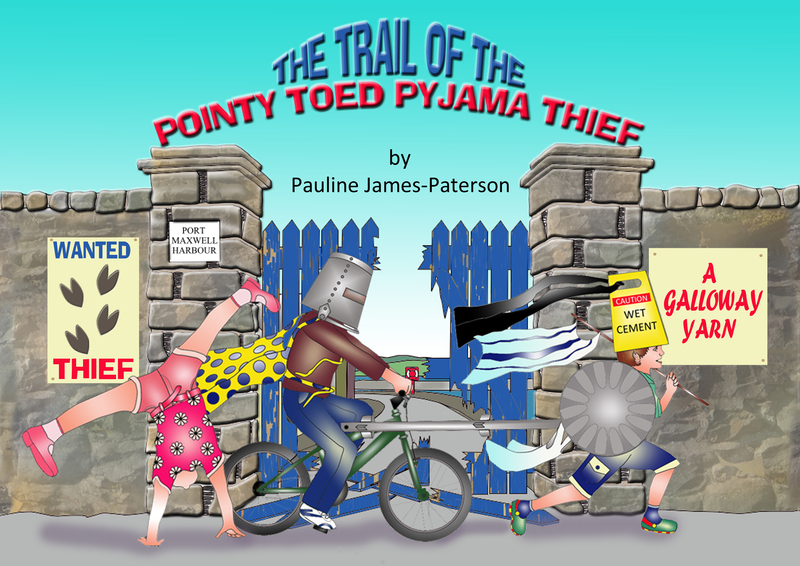 Port William, which became Port Maxwell, was an obvious choice as the backdrop to my story with its wealth of illustrative opportunities and “The Trail Of The Pointy Toed Pyjama Thief” was born. The story is a simple one. Archie is a dinosaur obsessed boy with an overactive imagination. 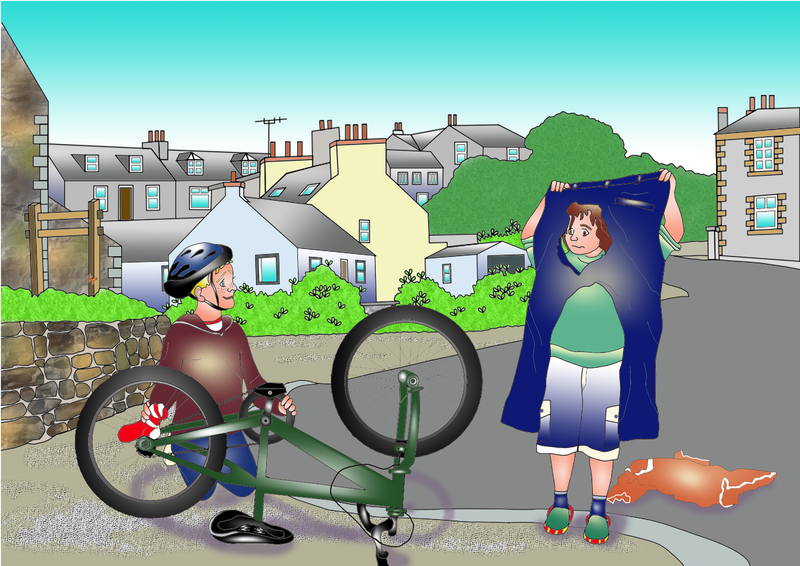 When his mum’s washing line, complete with clothes, disappears one night he enlists the help of his friends, Mike the Bike and Hurricane Hannah, to track down the culprit. They follow the trail of discarded laundry, footprints and a strange hole in a fence convinced that the thief is a velociraptor. Noises emanating from the harbour indicate they have found their quarry and, full of bravado, they charge only to find something quite unexpected. With the 96 lines of verse written, I set off armed with sketch pad and camera. Rough storyboard sketches for all 12 illustrations showed how my characters would interact with their environment. The view up the hill from the roundabout, the houses behind the school, the Post Office and the harbour buildings were subject to a touch of artistic licence but remained recognisably Port William. Returning each day to my light-filled studio, overlooking the beach at Second Sands, rough sketches became line drawings, laboriously vectorised using up to date computer software. The line drawings were uploaded into further software enabling me to add texture and colour with emphasis on bright primary colours and contrast. The creation of a children’s book is a long and arduous process. 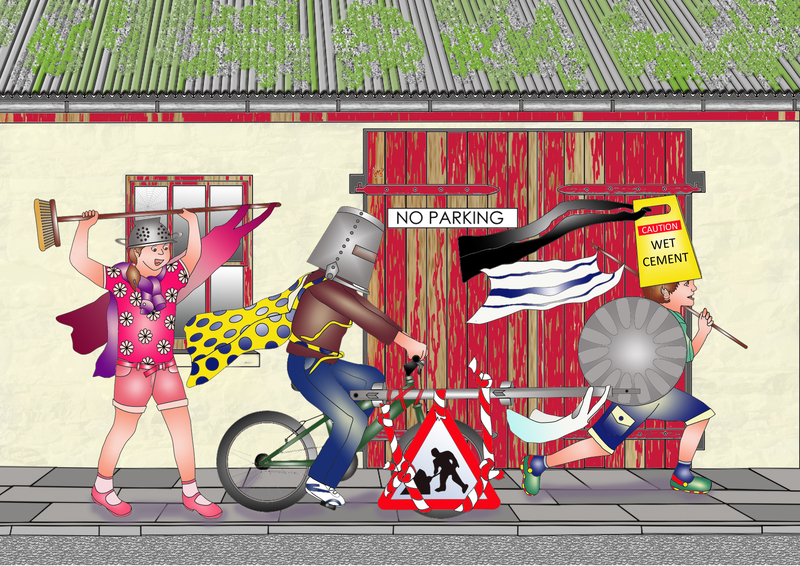 From initial concept, to writing the verses, editing and typesetting the words, creating the storyboard, drawing both on layout pad and screen it was 8 months full time work before I could press the button on my computer and send the body of work to JB Print in Newton Stewart. During this time I have really got to know my local environment, to appreciate the rugged beauty of my home village and to be excited by the possibility of it being the back drop to further children’s books. 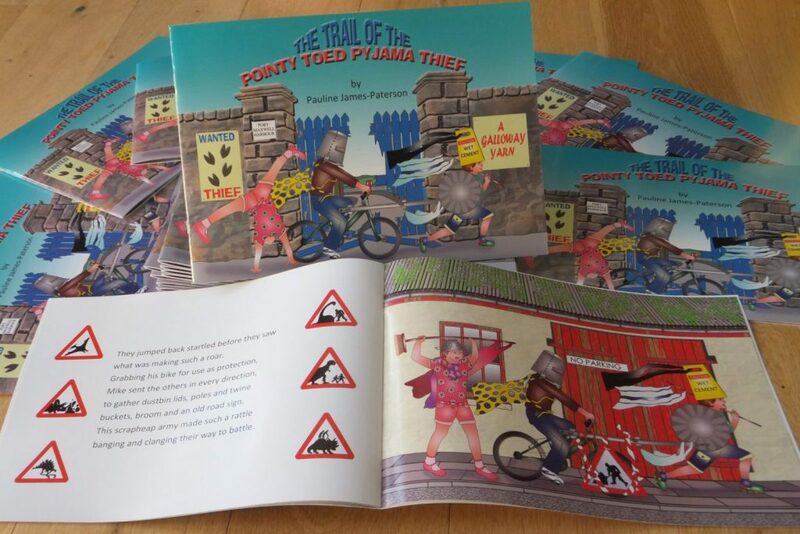 The Trail Of the Pointy Toed Pyjama will appeal to children 4 – 7 years old and is on sale throughout Dumfries and Galloway in independent book shops and gift outlets. It will also reappear on ebay and amazon from mid –November. Next articleRecently unearthed photo of Dumfries Star and his car!